Justice League: Throne of Atlantis starts the year off with a bang for the DC Animated Cinematic Universe. The movie serves as the perfect introduction to the character of Aquaman, who holds the power to bringing peace between Atlantis and the surface. 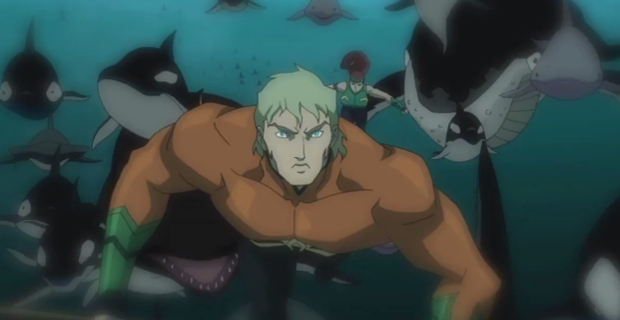 Throne of Atlantis picks up where last year’s Justice League: War left off. In the film, we get to see a Justice League that has just been formed, which is barely even a team at this point. But, the group bands together when Cyborg discovers that there is a great threat in the Marinas Trench. While the Justice League try to figure out what is going on, the character of Arthur Curry is trying to figure out who he is and where his powers came from. Soon, he will have to become the man to restore the balance between the surface world and Atlantis. Arthur Curry will have to become Aquaman. Throne of Atlantis is an action-packed adventure that shows the journey of Arthur Curry from a young man to a courageous superhero. It is a perfect addition to the already outstanding new animated cinematic universe, which includes films such as Justice League: War, Son of Batman, and the upcoming Batman vs. Robin. 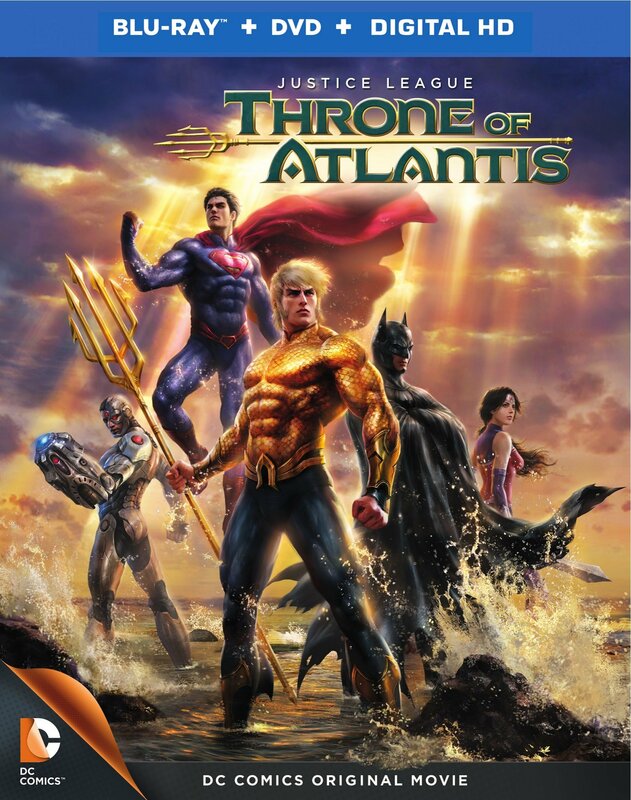 Justice League: Throne of Atlantis is an incredible movie, and is available now on Blu-Ray, DVD, Xbox, Vudu, Flixster, and more! For all of your DC Animated Cinematic Universe reviews, keep it here on NYCityGuys! Previous Entry Catch POWERS Writer Brian Michael Bendis on Late Night With Seth Meyers Tomorrow 1/20!